Last month my Bff called me to tell me a very helpful hint she discovered: use a scrubby to wash potatoes with. I love this idea and have used it ever since. Back in the winter my Bff gave me some nice size scrubbies. They’re bigger than the ones I make. So, she told how many pegs and which loom she used. I’m so glad she helps me. We have so much fun discussing looming and sharing our projects and ideas with each other. Your scrubbies are great and your idea to use them as vegetable scrubber is wonderful. I thought I’d make a bit of a tutorial to show how I now make bigger scrubbies. I use regular 4 ply acrylic yarn and tulle to make my kitchen scrubbies. Also, this tutorial doesn’t explain how to loom knit, but is written for folks who already know the basics of loom knitting. If you’d like to take up loom knitting, here’s a link to a youtube.com search results for ‘How to Loom Knit’ It has oodles of videos of most anything you’d need to know to get started loom knitting. Cut the netting in 1 1/2 inches wide strip about 12 to 15 yards long. Wind the strip of tulle into a ball. *Leave about a 12 inches yarn/netting strip to weave in to use as a drawstring when you’re finished. Or use a drawstring cast-on. Hold yarn and netting strip together and cast them on the loom in your favorite fashion. *I use a regular e wrap cast on. Using E wrap, knit 12 to 15 rows. *I usually just knit until there’s about 12 inches of the yarn/netting strip left. To bind off, thread a darning needle with the yarn/netting strip and feed it through the loops as you take them off the pegs. Continue until the scrubby is off the loom. Weave the beginning 12 inch strip of yarn/netting strip in and out of the edge stitches making a drawstring. Pull tight and tie off. I generally thread the strip through the scrubby and tack it to the other side to secure it in place. The 5 1/2 inch blue knifty knitter loom makes about a 4 inch scrubby. I make smaller scrubbies using a Martha Stwart square loom with 20 pegs. A Scrubby is another handy item that can be made from left over yarn. Here’s a link to a tutorial for Scrubbies. There’s a few differences between it and mine. Go and check it out, it may be a more understandable and a better method for you if you’re interested in loom knitting a scrubby. This entry was posted in Loom Knitting & Weaving and tagged crafts, Knifty Knitter, knitting loom, loom knit, loom knit scrubbie pattern, loom knitting, martha stewart loom, pattern, scrubby, tulle, tutorial. Bookmark the permalink. Well, isn’t that just a neat idea!! Much easier than those old veggie brushes! Thanks for sharing with us. Have a good day, E.C.! I agree. I was so glad when my Bff told the scrubbies made good veggie scrubbers. I don’t like the brushes at all. What a neat idea–and cute, to boot! How nice!! Scrubbies are good for using on pots and pans too. I want to retire so I can explore all the creative fun things I see on blogs like yours, thank you so much for sharing your creative world and for visiting strawberriesinthedesert.com – I look forward to exploring your blog more! Thanks so much for the nice compliments on my blog. 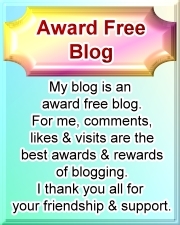 Thanks so much for visiting my blog and leaving me a comment. Really cute. I haven’t mastered my loom yet. I like the scrubbies too. Loom Knitting isn’t too hard. My Bff helped alot and also I watched a lot of videos and read my books. I haven’t ventured into really fancy stitches.I stick with the basics. My favorite stitch is the e wrap. It’s quick and simple to do. What a great idea! Thanks for the instructions, E.C. I had a question about the tulle. You said 12 to 15 yards. That about equals 36 feet. I’m thinking you meant 12 to 15 feet of tulle? Thanks for any clarification. Yes I meant yards. It’s amazing how much yarn or netting it’s takes to make even a small scrubby. thank you so mutch for sharing this pattern, I’m going to make me some, I have some netting laying around ,so I can start wright away. Greatings from Ria out of the Netherlands. Thank you for visiting and leaving me a happy comment. I hope you Have fun making scrubbies. I am trying to make these great scrubbies but I am trying to do it with the nylon netting only. I can’t seem to figure out how to thread the tulle through the scrubby to tack it to the other side to secure it. Any suggestions would be great. Thanks. I’m not sure if I can help, but I’ll try. I use a large darning needle to thread my yarn/netting through and then weave it in and out of the scrubby. When I feel it’s secure I cut off the excess yarn/netting and needle. Like sewing with a regular thread and needle. Or you could use like-color regular sewing thread and tack/stitch it down. I love making these scrubbies. I use them to wash my dishes, and some for cleaning my bathrooms. Scrubbies are fun to make and handy to use. Scrubbies are one of my most favorite things to make on knitting looms. Thanks so much for visiting my blog and leaving me a happy comment. Love ur loom knitted scrubbies!! Want to TRY to make some and hope they come out just as nice as ur’s looks!!!! I meant to ask in my earlier comment if the Tulle/Netting could be used in 3 inches wide strips instead of 1 1/2 inch wide strips? And it looks by ur pictures like u only use wiite Tulle/Netting with colored yarns!! Thanks for your questions. I use whatever color tulle or yarn that I have handy or if I want to match the yarn and netting together. You can try 3 1/2 inch wide tulle/netting. You might like it better that way. You can use any color combos you want. I hope you enjoy making scrubbies. Thanks for visiting. I hope you’ll stop by again sometime. I’ve combined your 2 posts. I hope you don’t mind. Thank u for answering my question so quick! I’ve tried making one and was disappointed with mine cause it was kind of hard to get it into a circle shape it came out lopsided don’t know what I’m doing wrong?? But I hope to succeed at making them perfect!!!!! And the center circle especially on the front side kept opening even tho I tried pulling the center close as much as possible! Thanks for sharing ur scrubbies pattern!! After I take the scrubby off the loom, I Weave the beginning 12 inch strip of yarn/tulle in and out of the cast on stitches making a drawstring. Pull tight and tie off. There’s a cast on method called drawstring cast-on, that might be a help for you. I’ve never tried this method, but it looks promising. It’s takes a little time, but hopefully soon you’ll get the hang of knitting scrubbies. Thank u I watched the video of the drawstring cast on and hope this will work better!! Keep working with it and hopefully soon you’ll be loom knitting scrubbies with ease. I’m glad to read that your still looming. I haven’t tried cotton yarn on the scrubbies. A lot of folks like using cotton yarn, I hope it works out for you. Thanks for keeping me updated on your progress. We’re moving into our first home soon and I’ve been searching for things to make. I’m so excited to come across this! I love loom knitting and I have tons of brightly colored tulle left over from my daughters rainbow themed birthday. I’m working on some now!! Congratulations on your first home. Having a new home is so exciting. Making crafts for it to decorate and use can be such good fun. Sounds like you’ll be able to make a pretty bouquet of scrubbies. Thanks you so much for visiting and leaving me a happy comment. I am loving the instructions on making these scrubbies. This has been the best one I have seen so far. Thank you. My only question is, the tail at the beginning, is that what you use to cast off, or do you just thread one or two strings of the yarn for the cast off? I know how to do the cast off, but it was a little vague on the instructions. I usually use the end/tail left over at the beginning and weave it in the stitches and pull it tight. There’s a video for a pull string cast on that you might be of help, I’m putting the link in the end of this comment. As for the cast-off I leave about a 12 inch tail of yarn/netting end and thread it through needle and weave it in and out of the stitches as I pull the stitches of the pegs. When it’s completely off the loom, I pull the it tight to form the round. It’s really a personal choice, you can cast on or cast off what ever way is most comfortable for you. Thanks for visiting my site and for leaving me such great compliments. Here’s a link to the cast on method called drawstring cast-on. I actually figured it out from my mistakes on the first one I made and now I am a PRO! They are so much fun to make and I thank you, both for replying so quickly and for posting the instructions. Have you used just tule to make these on the loom? I haven’t used just tulle or netting. I figure it would work, but the scrubby might be flimsy. However, if you try it, I hope you’ll come back by and let me know how it turned out. im hoping to make some soft ones for the bath so will leave out the netting. but i will have to find some netting so i can make some for the kitchen! can these be machine washed easily? I wash my scrubbies in the wash with the towels. It takes awhile to dry them sometimes, so you may want to check them to make sure they’re dry. Thanks so much for visiting and leaving me a comment and question. These are so cool! My youngest son had one of those looms his grandmother bought him a few years ago. I should see if he still has it so I can make my own scrubbies! Wonderful idea. Thanks for sharing. I think it’s neat how the toys from childhood can be useful tools. I hope he still has it and you can make some scrubbies. They’re real handy. I make these using nylon net. I use to sell them by the hundreds at craft shows. They are wonderful! Yours look very pretty! Nylon net sounds like a winner in making them a more functional scrubby. That’s great you did so well selling them at craft shows. Thanks for visiting and leaving me a happy comment and compliment. That’s a handy idea for scrubbies. Bugs are such an aggrivation to scrub off without scratching the glass. Thanks so much for visitng and leaving a helpful comment. Hello I came across your site completely by accident. I have been wanting to make some scrubies but I only have a straight loom with only one row. Is there a way that I can make a scrubby with this loom? I was alo wondering has anyone made the tops for making hanging kitchen towels or tops for bathroom hand towels using a loom? If so how do you attach the yarn to the towel? I am trying to make some sets for the eldery who still get to have their own little studio’s but still need help. I would also like to learn how to do the scrubbies well enough to teach to the mentally handicaped? Do you have any other ideas that i can teach to them. I’m taking a much-needed break from my blog right now. Unfortunately, I can’t be of much help to you. I don’t know of a way to make scrubbies with a single row loom. I’ve not made tops for towels on the loom. I figure it can be done though. I admire your desire to make gifts and teach knitting loom to the elderly and mentally handicapped. What a wonderful way to bring an extra of bit of joy to their lives. I’m basically a novice at loom knitting. There’s a lot of creative loom knitters that might be of more help to your questions. There’s several knitting loom websites and blogs on the internet that can be found through Google, Bing or whatever your favorite search engine is. I wish you best of luck with your endeavors.